As the weather finally gets cold in Los Angeles, a hearty meal is in order. 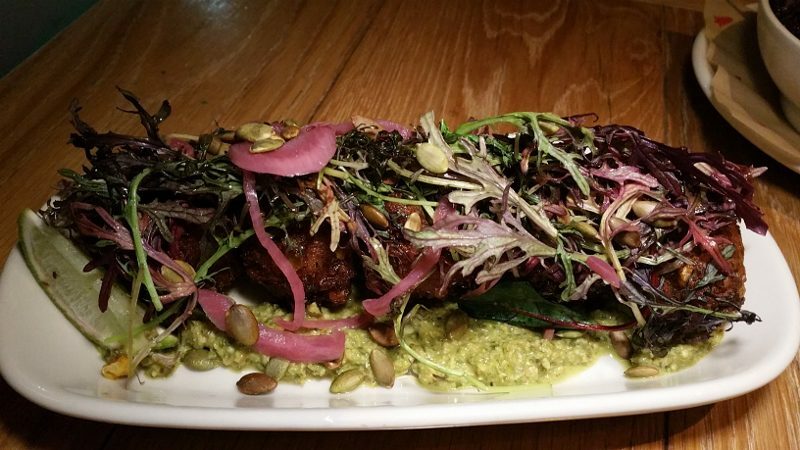 Messhall Kitchen in Los Feliz offers hearty comfort food with big flavors. From the outdoor fire pit to the wood cabin-like decor, and with servers in flannel shirts, you will feel the warmth the moment you walk in. You will also feel a sense of nostalgia. All of that comfort of your childhood, of camping or going to camp, will warm your heart as you take a seat in the family-friendly spacious restaurant. Chef Shane Pritchett came to Messhall Kitchen in 2014 and has brought his love for barbecue to the menu, while using local, sustainable and organic seasonal ingredients to create the re-conceptualized American favorites. 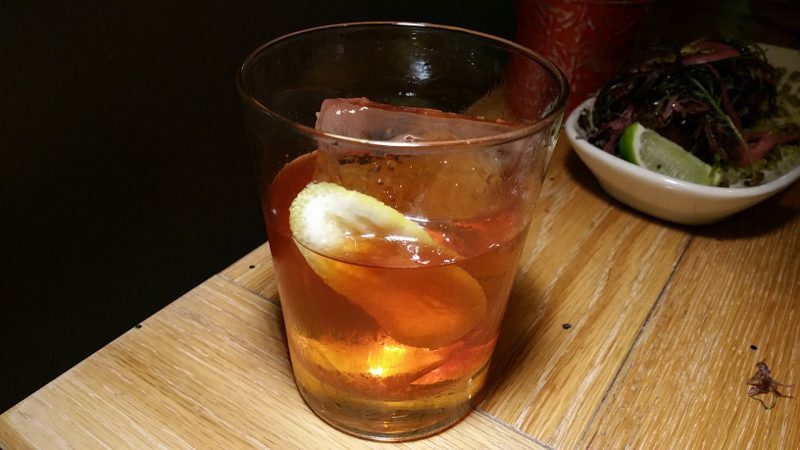 Messhall Kitchen is the kind of restaurant that you want to come hungry….and thirsty. 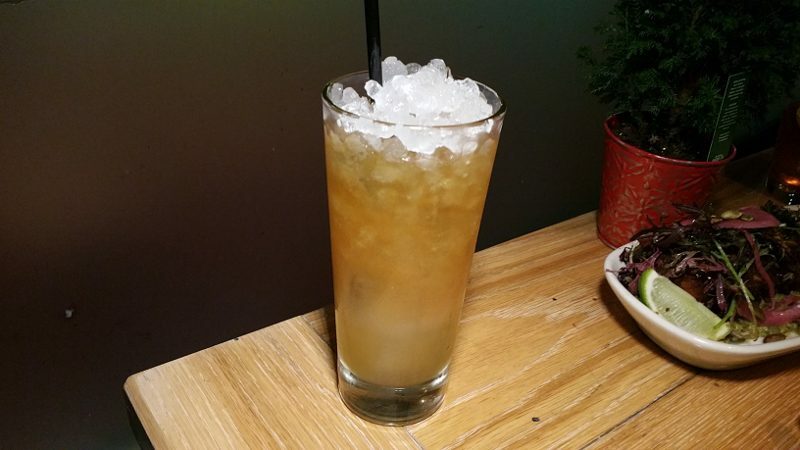 The drinks menu consists of classic cocktails, barrel aged cocktails and spirit flights. 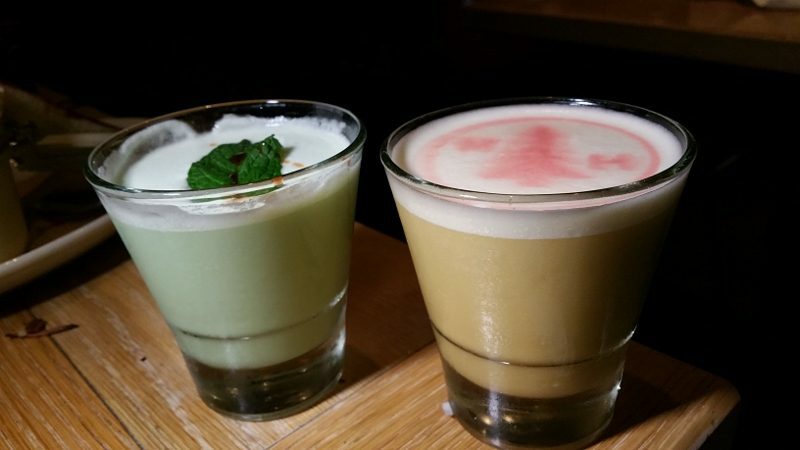 But, I was drawn to the drinks that are an ode to Harry Potter. As a huge fan of the books, we picked a Polyjuice Potion (151 rum, persimmon syrup, grapefruit, lemon, sherry float) under the Three Broomsticks Shaken Beverages section and a Veritaserum (Buffalo Trace bourbon, Mandarin Napoleon, maple syrup, barrel aged bitter) from the Hog’s Head Stirred Libations section. The menu, which is titled Provisions, is broken into sections: Begin (made for 2), Rations (be nice and share), Greens, Next, Hardwood and End. Smoked Corn Fritters with poblano and pumpkin seed romesco are crispy but tender. There is a little kick to the pobalano romesco and the picked onions add a little sweet and sour. 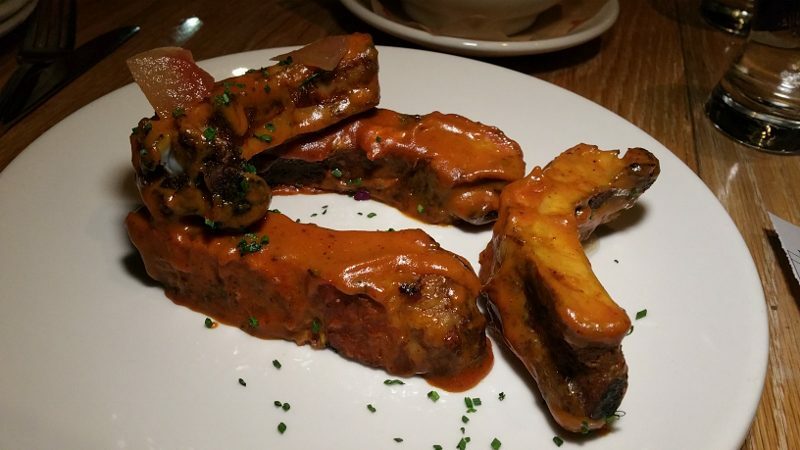 Rib Stack are beef ribs with brown sugar, mustard bbq sauce and watermelon pickle and are finger-licking good. Pimento Cheesy Toast – The menu says to “just order it,” so we did. 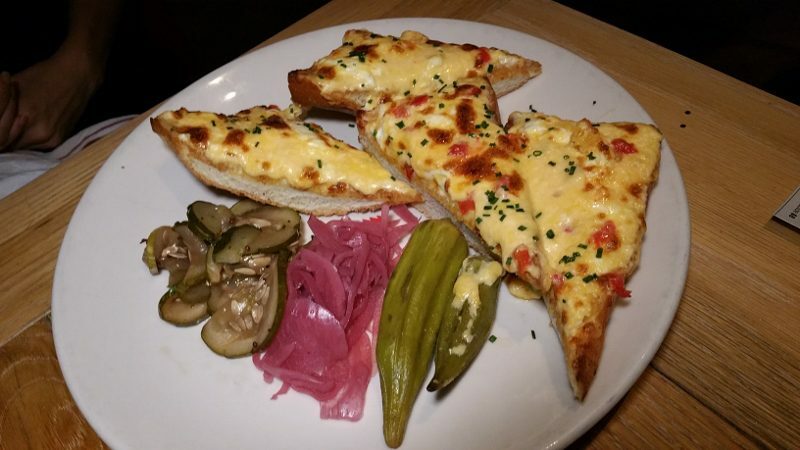 Thick cuts of bread with melted cheese and sides of pickled okra, pickled onions and pickles. I do not know what kind of cheese was melted on top but who cares? It was delicious! 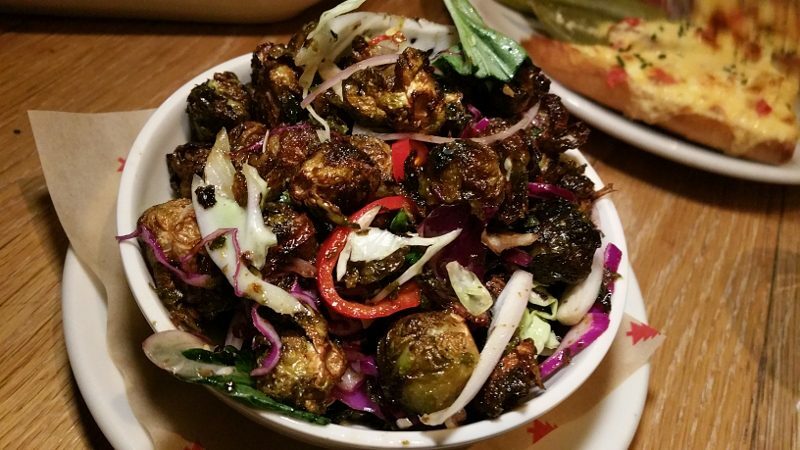 Roasted Brussels are sweet and spicy with thai herbs and cabbage. The Next section offers hearty dishes like chicken, risotto, country fried steak, vegan pot pie and brisket. We went with the Braised Short Rib with mashed, mushrooms, kale, bacon, horseradish creme fraiche. This dish is a combination of all the right ingredients. 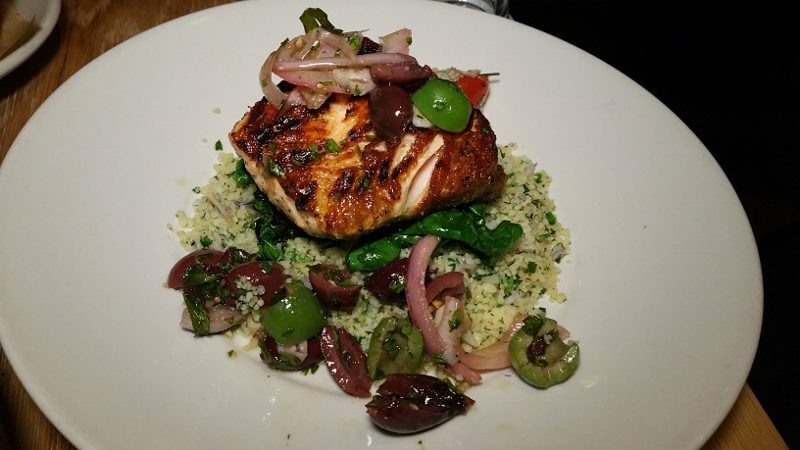 The Hardwood section is where you will find burgers, trout, salmon, baby back ribs and the Scottish Salmon which is served with cous cous, olive tomato relish and swiss chard. The salmon was perfectly cooked with a crunchy crust. Dessert cannot be missed at Messhall. 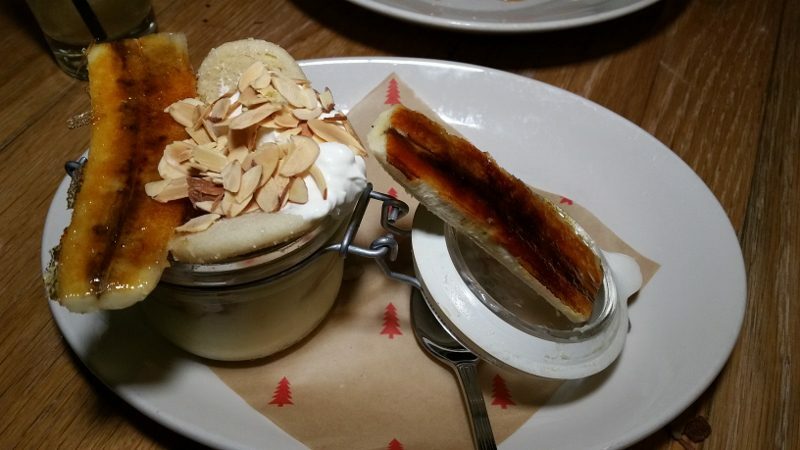 The Banana Cream Jar Pie, which has been on the menu since the restaurant opened, is a jar with vanilla custard, toasted almond, banana brulee and wafer. If you like Banana Cream Pie, this is one to try. 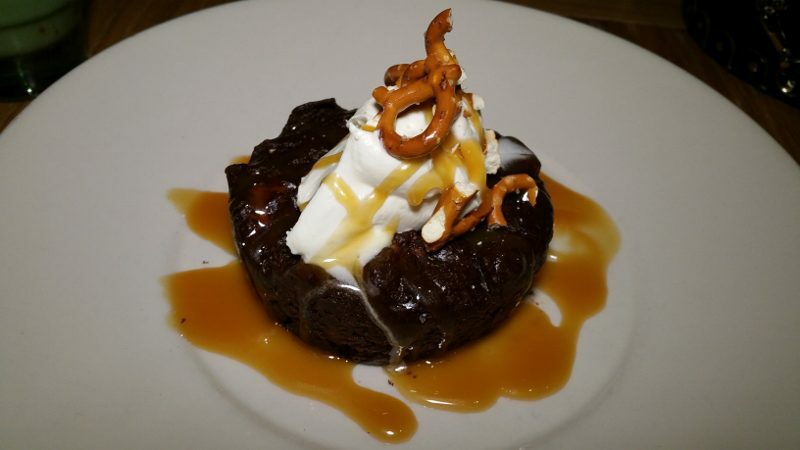 The Pretzel Chocolate Bread Pudding with salted caramel sauce hits all the right notes with sweet and savory elements. We finished off the meal with dessert cocktails to enjoy with our desserts. The Amortentia (El Dorado rum, creme de cacao, creme de menthe, Angostura, cream, egg white) is minty and refreshing and the Pumpkin Juice (pumpkin bourbon, coffee liqueur, vanilla, orgeat, whole egg) is rich and creamy. This entry was posted in Cocktails, Food and tagged banana cream jar pie, Chef Shane Pritchett, Cocktails, comfort food, DrinkWire, food, Liquor.com, Los Feliz, Messhall, Messhall Kitchen, Pimento Cheesy Toast by Allison Levine.